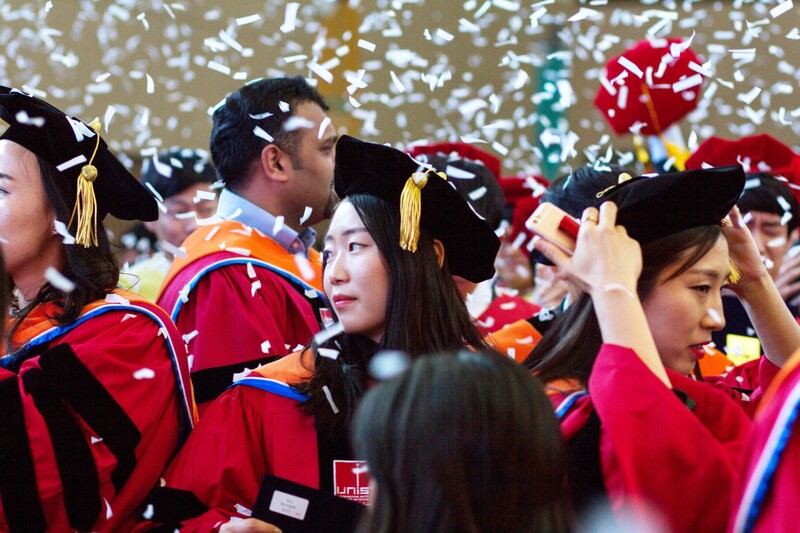 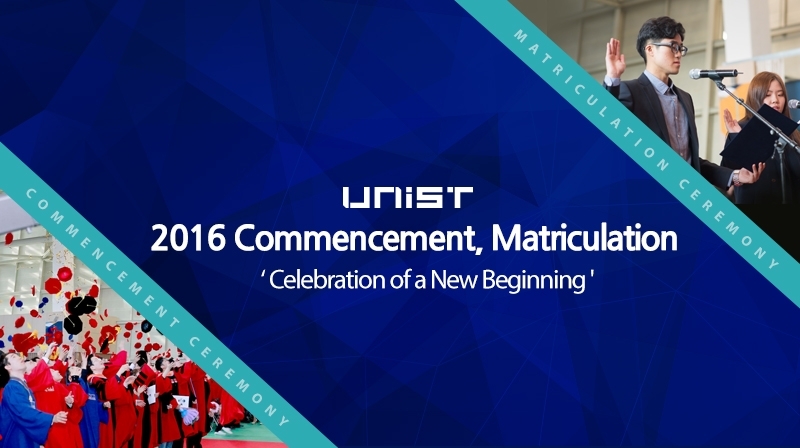 Each February, UNIST follows the tradition of festive academic ceremonies of matriculation and graduation. 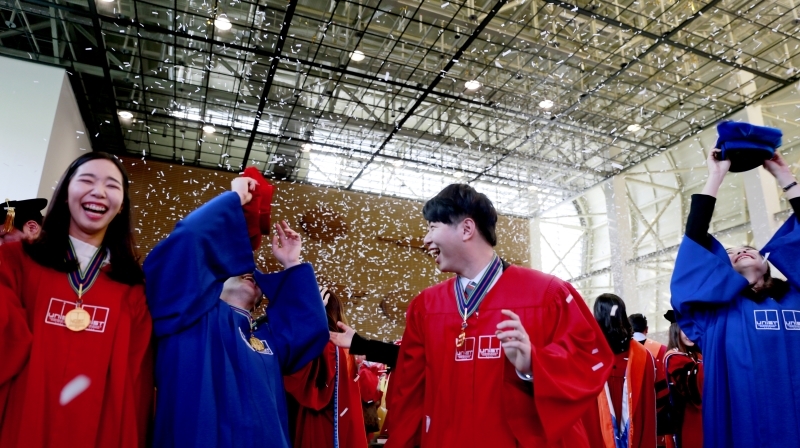 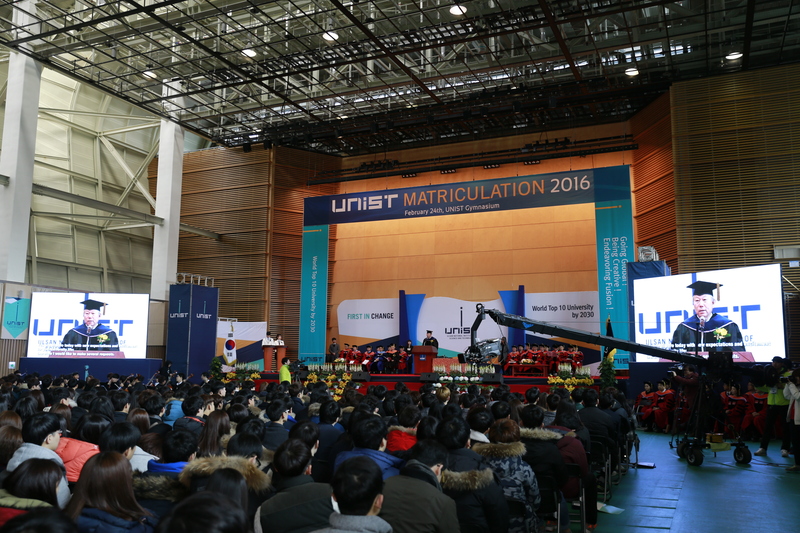 On February 23, friends and family poured into UNIST Gymnasium to the sound of UNISTra’s musical performance to watch the graduation of their loved ones. 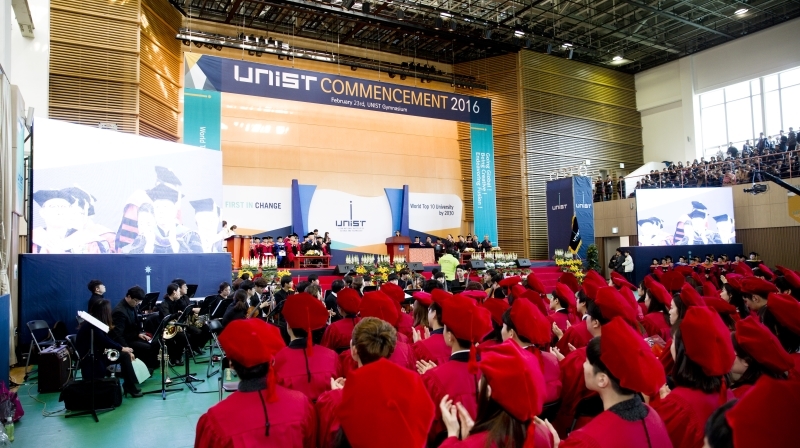 This was the first convocation since the recent status change of UNIST, as a government-funded research institute. 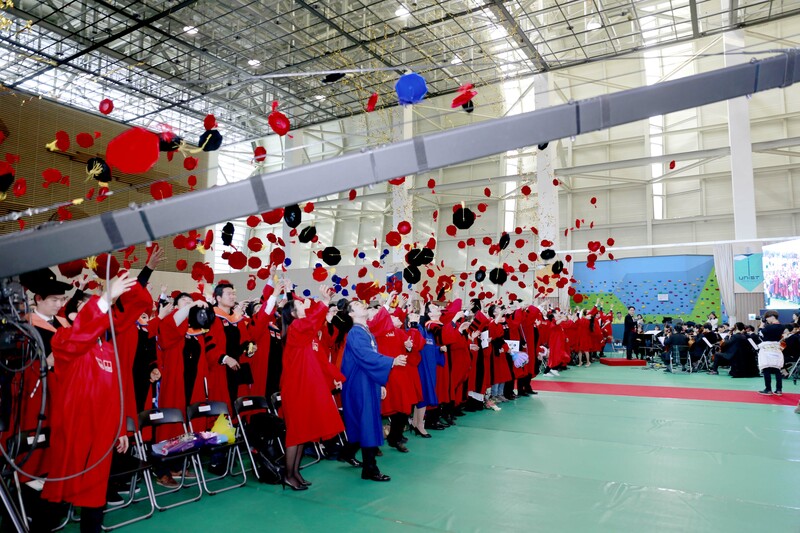 Class of 2016 are throwing their mortarboards up in the air at 2016 Matriculation. 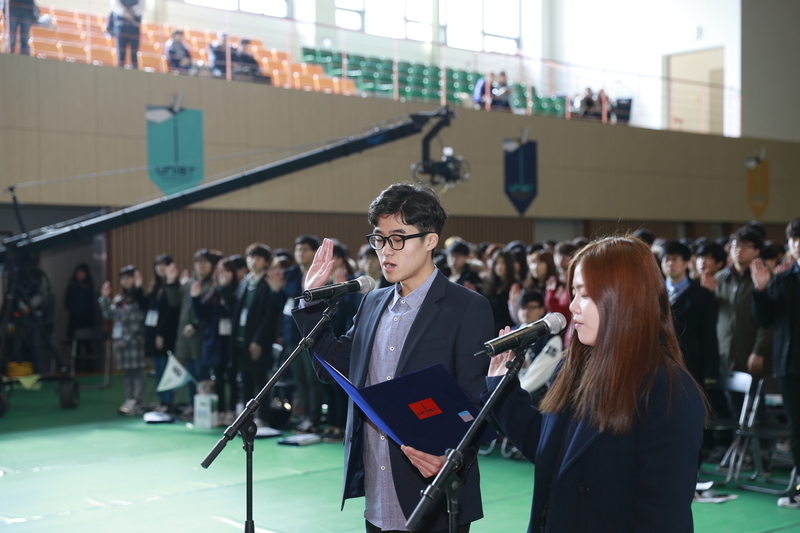 On the following day, at 11:00 a.m., before the 2016 Freshmen Orientation, inside UNIST Gymnasium was charged with energy and hope, as members of of the Class of 2020 officially began their undergdatuate journey at the annual Matriculation ceremony. 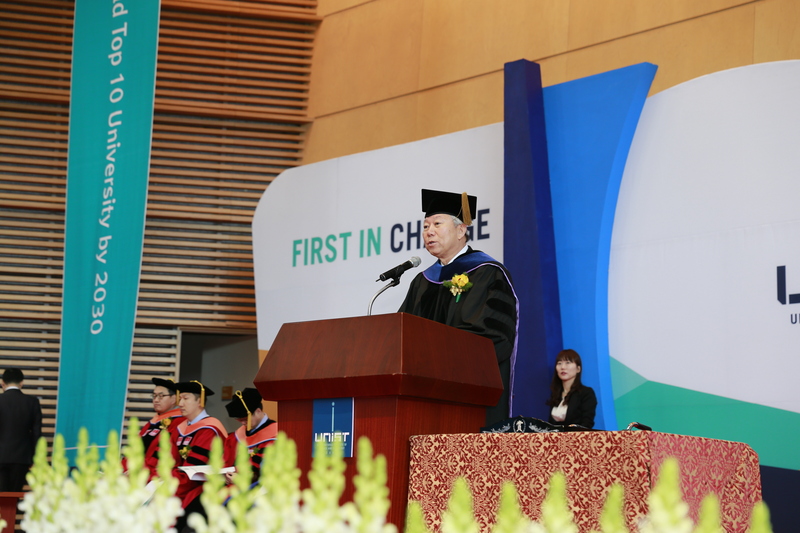 A total of 400 new undergraduate students were admitted in the presence of their family and professors who held witness to this important milestone. 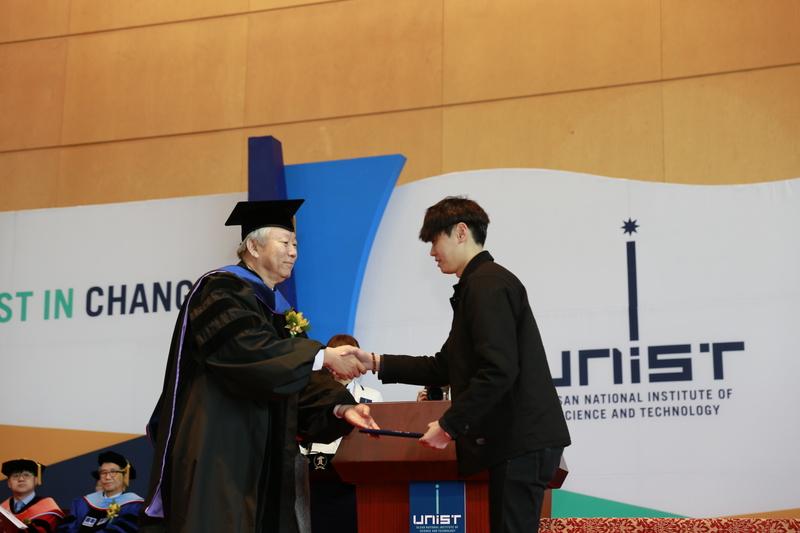 This year’s incoming freshmen are the first group of students, entering UNIST since its recent status change as a government-funded research institute. 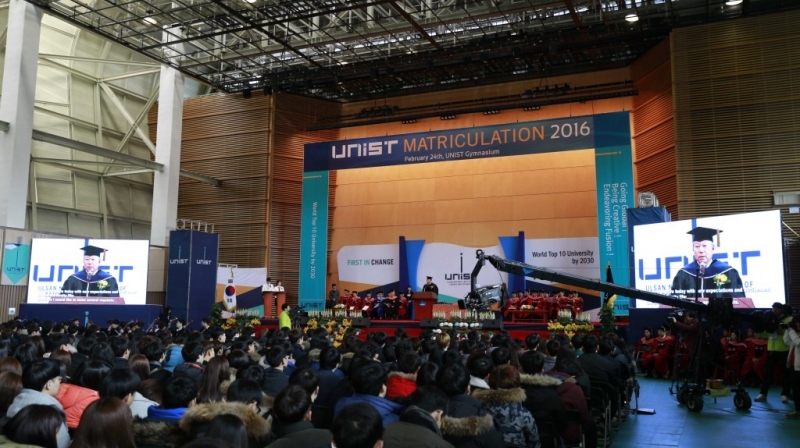 2016 Matriculation Ceremony, held in UNIST Gynasium to welcome new students to campus.